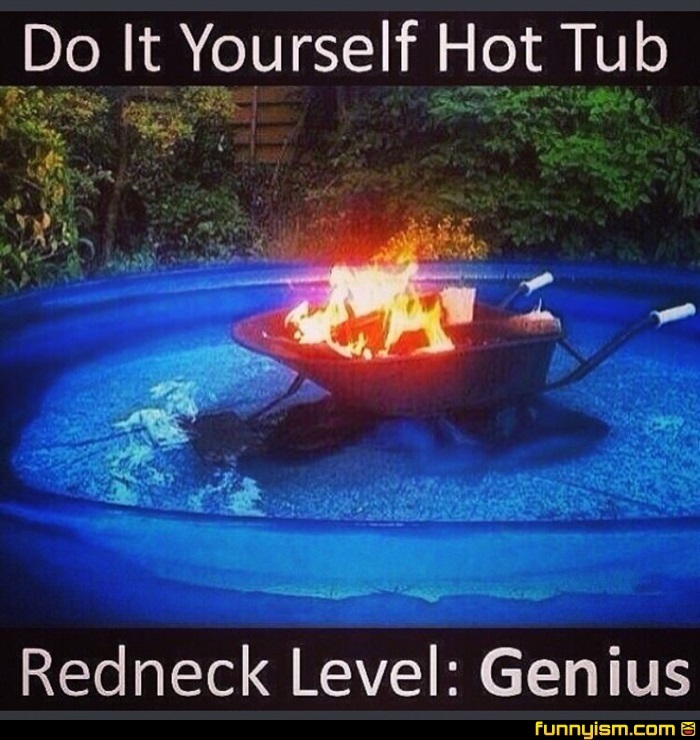 Literally how my Aunt in alaska made a hottub. Submersed wood stove with a barrier in a huge old industrial barrel. Takes about two hours to heat up and seats about eight. @PunnyBaker, wouldnt it just start boiling the water after a bit? A small water circulator would keep the temp pretty consistent. Step 1: Get a wood pellet stove Step 2: Make flue pipe wind back and forth under the water then pop up and put a small fan in the exhaust. Make an air inlet for the front. Step 3: Submerge in pool. Step 4: Heat pool, invite friends, loved ones and crushes over. Step 5: Profit.